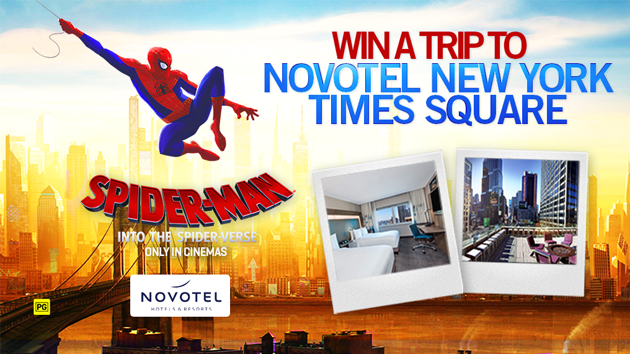 Thanks to Novotel and new movie ‘Spider-Man: Into the Spider-Verse’, we’re giving your family the chance to win a family escape to Novotel New York Times Square! The winner will enjoy 5 nights at Novotel New York Times Square including flights, transfers and amazing activities including Parkour lessons, Empire State Building access and more! Whilst in Miles Morales’ hometown, you’ll step into the Museum of the Moving Image, a one-of-a-kind destination! For your chance to win, enter your details below and tell us in 25 words or less why your little superheroes need a holiday!